It's Super Bowl Sunday which means football, parties, and lots of yummy snacks! 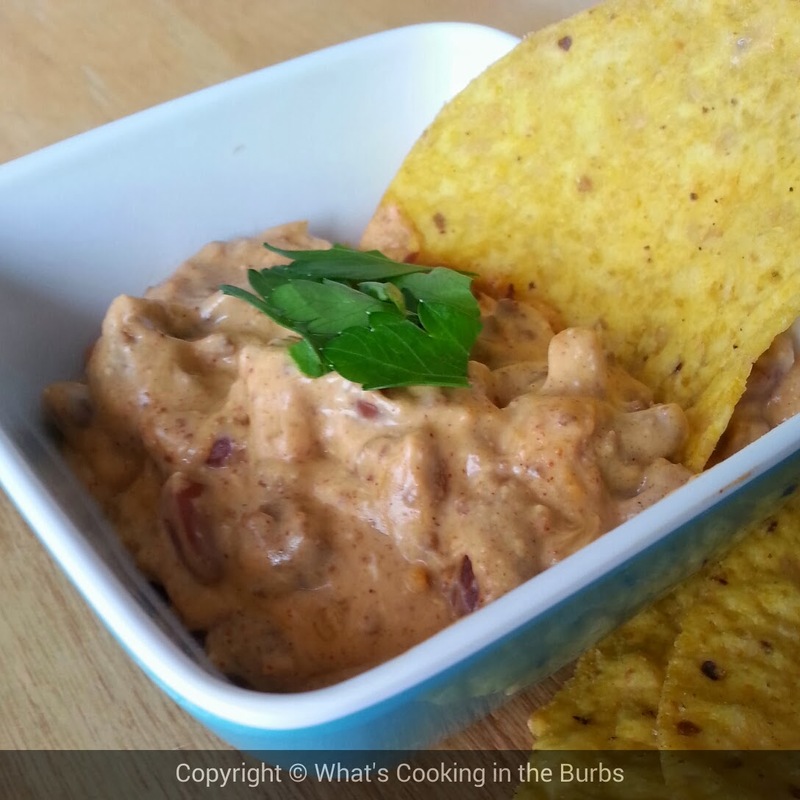 I'm not having a party but I am stopping by a neighborhood one and I decided to bring this delicious and easy 3 ingredient Chili Cheese Dip. It's low cal and low fat and you can indulge without feeling guilty. Now that is my kind of appetizer! Add cream cheese to crock pot and top with chili and cheese. Cover and cook on low for one hour. Stir and serve with tortilla or corn chips. Enjoy! Betcha this dip is amazing!! Thanks for sharing at Simple Supper Tuesday. This is the perfect party food. Even better that it's made in the crock pot! Thank you for linking to the In and Out of the Kitchen Link Party. Hope to see you next week.